Worry about 1099’s in July….why? So it’s July why would you need to worry about 1099’s mid year? Reason being why wait…why wait till December or January when those businesses you paid a year ago may not be so findable anymore. Whether a business you paid is still in business, moved or has closed their doors you are legally obligated to create and try to send them a 1099. You may ask why do I have to send a 1099 when a company is closed, reason being even though a business closed it’s doors on January 5th but you paid them over $600 on January 4th they still must file a closing tax return for that year and report to the IRS the income they received from your business and every other business and/or individual. When do you have to issue a 1099 legally? If you pay any individual or business that is not licensed as a corporation anything over $600 in a calendar year you are required by the IRS to send them a form 1099. 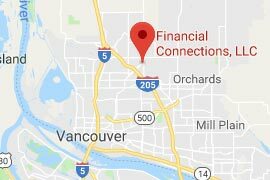 If the business is a corporation you do not have to produce a 1099 to send them but you should have a W9 from the business showing they are licensed as a corporation. The safest rule is no matter what, at time of payment that you get a completed W9 whether you are only paying them $100 or $1000. Practicing this method of record keeping can save you a huge amount of stress come year end when you have enough to worry about for tax preparation. If your business fails to do so, the penalty against your company varies from $30 to $100 per form ($500,000 maximum per year), depending on how long past the deadline your company issues the form. If your company intentionally disregards the requirement to provide a correct payee statement, it is subject to a minimum penalty of $250 per statement, with no maximum. 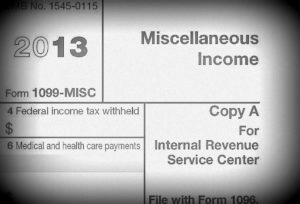 The IRS does not care if you can’t find the owner of a business you paid to be able to get a completed W9. It is your job to take care of your reporting requirements and make sure your business stays in compliance and clear of any possible IRS audits.